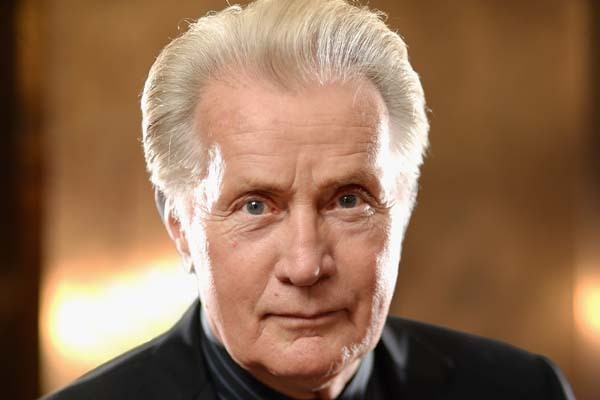 Count Dayton native Ramon Est?vez, better known as Martin Sheen, among the more than 1,900 University of Dayton graduates receiving diplomas this weekend. The University will honor him with an honorary doctor of humane letters degree for his lifelong commitment to peace, social justice and human rights exemplifying the Catholic, Marianist university's mission. Sheen, who intentionally failed his University of Dayton entrance exam to start his distinguished acting career, will accept the degree during undergraduate commencement ceremonies, which begin at 9:45 a.m. Sunday, May 3, at the University of Dayton Arena. "Mr. Estévez has used his celebrity status to be a voice for the voiceless, and in the Marianist educational tradition, he leads through service to others. He has spoken out against war, abortion, genocide and capital punishment. Among the causes he supports are environmental sustainability, workers rights and human rights," reads the citation for the honorary degree. More than 1,900 University of Dayton students will receive degrees in three separate ceremonies this weekend. A projected 1,447 students will receive undergraduate degrees on Sunday. More than 390 students will receive graduate degrees at 12:45 p.m. Saturday, May 2, following the 9 a.m. commencement ceremony for more than 100 law school graduates. Combined with degrees granted in August and December, about 2,750 Flyers will earn degrees during this academic year. Each ceremony will be in University of Dayton Arena and can be viewed live online by visiting http://udayton.co/CC4. Job prospects for this year's University of Dayton graduates, as well as for graduates nationally, are looking up. Employers responding to the National Association of Colleges and Employers 2015 Job Outlook Spring Update say they expect to hire 9.6 percent more new college graduates from the college class of 2015 than they did from the class of 2014. "This is an excellent year to be graduating from college. Many of our graduates have accepted job offers or are experiencing success in the job search process," said Jason Eckert, University of Dayton director of career services. If this year is better than last year, the news is outstanding for University of Dayton graduates. Ninety-five percent of spring 2014 University of Dayton undergraduates responding to a University of Dayton Office of Career Services survey reported being employed, pursuing an advanced degree or participating in a service program within six months of graduation. Each of the University's four schools offering undergraduate degrees — engineering, education and health sciences, business, and arts and sciences — had a 92 percent success rate or better.